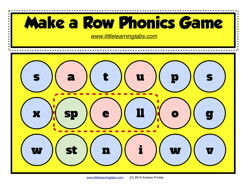 Practice building words with this Phonics Game! Spell words with this set of hundreds of vowel, consonant, and blends coins. Play the game with your own rules or with any of the suggested rules. It's great to play alone, in a small group, or even with the whole class! Practice your word work with this short letter A exercise packet. Practice drawing, tracing, coloring, writing, and saying. Afterward, you can even cut out pieces of the page and practice sorting. 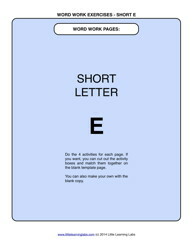 Practice your word work with this short letter E exercise packet. Practice drawing, tracing, coloring, writing, and saying. Afterward, you can even cut out pieces of the page and practice sorting. Practice your word work with this short letter I exercise packet. Practice drawing, tracing, coloring, writing, and saying. 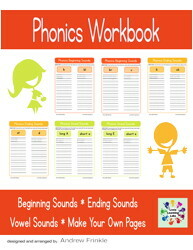 Afterward, you can even cut out pieces of the page and practice sorting. Practice your word work with this short letter O exercise packet. Practice drawing, tracing, coloring, writing, and saying. Afterward, you can even cut out pieces of the page and practice sorting. Practice your word work with this short letter U exercise packet. Practice drawing, tracing, coloring, writing, and saying. Afterward, you can even cut out pieces of the page and practice sorting.